As a part of our commitment to our patients, Vellore Woods Veterinary Clinic and Pet Dental Centre has invested in our surgical facility. We are using a digital vital sign monitoring system specifically designed for veterinary clinics. This technology integrates the monitoring of electrocardigraphy or ECG, non-invasive blood pressure (NIBP), pulse oximetry(SpO2), Capnography(Co2) and temperature-same as equipment used in human hospitals. 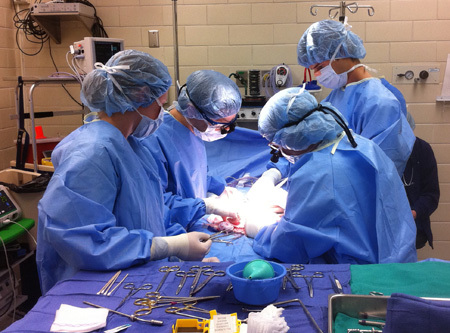 We are using a body warmer to keep your pets warm and cozy during surgical procedure.